Today I have the Colors by llarowe polish for the May 2015 A Box, Indied. 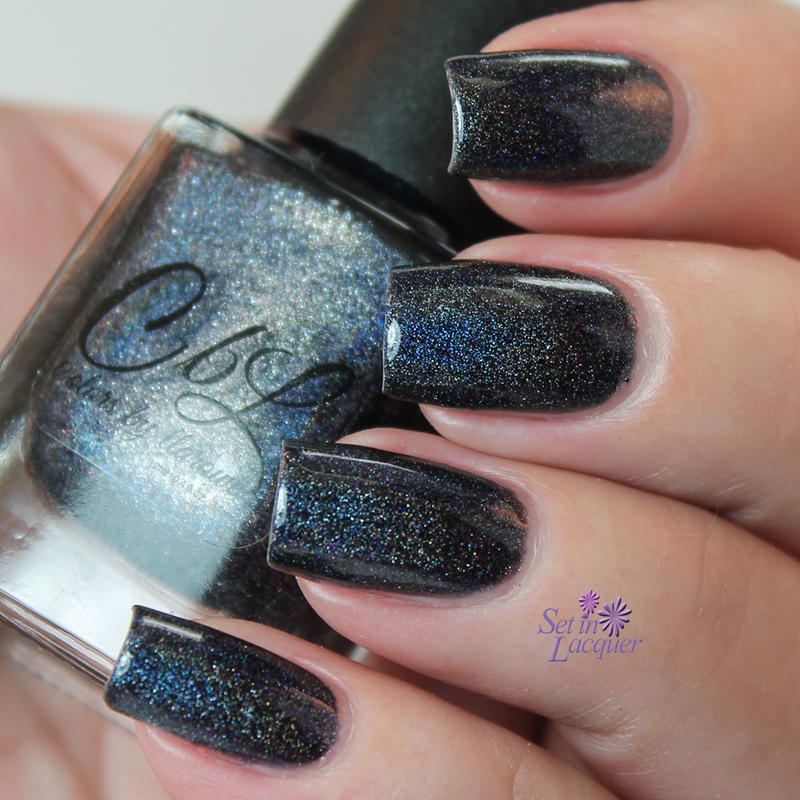 Luke, I am Your Father is a black linear holographic polish. Well Hello Star Wars! This polish is definitely suited to the movie. This line between Luke Skywalker and Darth Vader in "The Empire Strikes Back" is one that will live forever. But I have to add that the quote is also one of the most misquoted lines in movie history. It is actually "No, I am your father." But that just doesn't have as much oomph, does it? 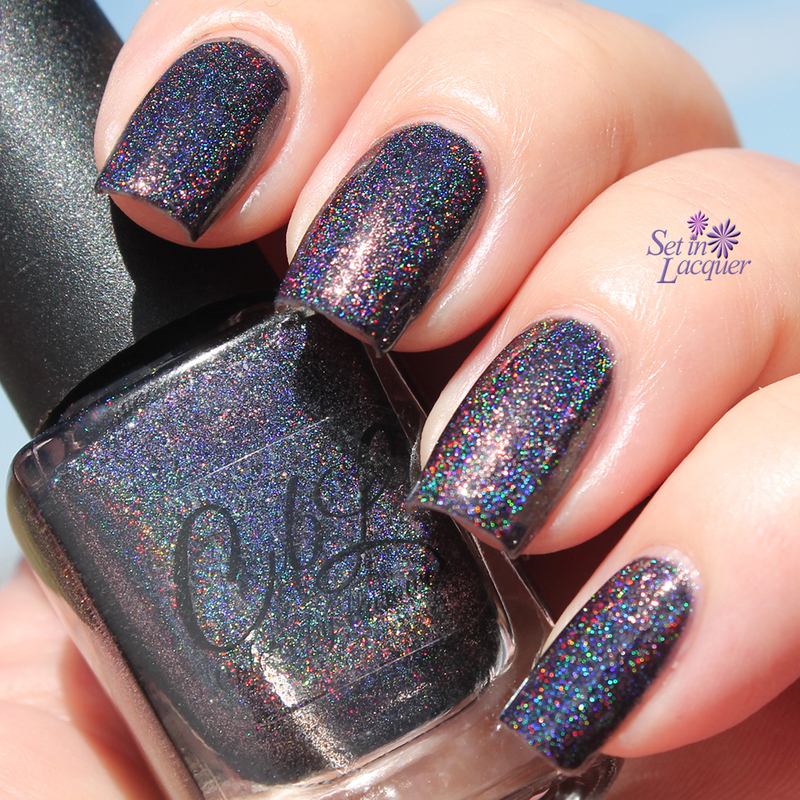 But I digress, let's look at this holographic black polish. The arcs are mostly blue, which gives it a blue tone in some lights. The prisms shine bright and bold and are a force to be reckoned with. The formula was great. I used two coats and a top coat for the swatches. I am loving the polishes I have seen for May's box. They are all pretty amazing. That this one has so many personalities - subtle and classy indoors, yet bubbly and vivacious in the sun. The theme for May's box is May the Fourth Be With You and will also include offerings from Girly Bits (See my post on the Girly Bits polish here. ), Different Dimension, Contrary Polish and Glisten & Glow. A Box, Indied retails for $50 and will launch April 26th at Llarowe.com - at Noon and 7 p.m. MDT. This polish was provided to me for an honest review. All opinions are my own. Please note that computer monitors may display colors differently. Wow it's beautiful! 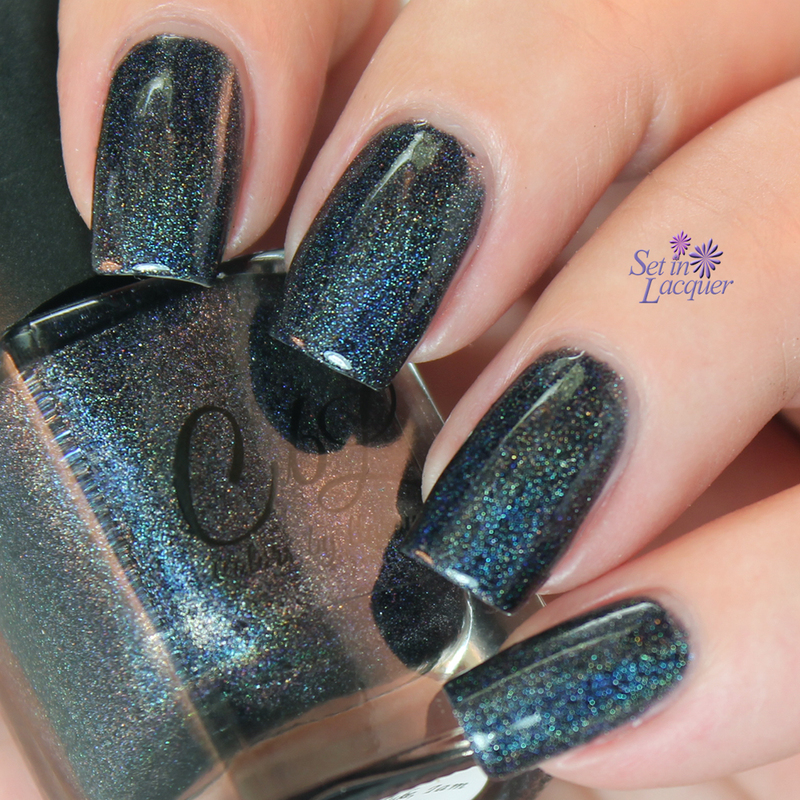 I'm still on the hunt for the perfect black holo and this one looks great!